DETROIT (Reuters) - The United Auto Workers gained a partial and unconventional recognition from Volkswagen AG (VOWG_p.DE) after proving to the company that it represents at least 45 percent of workers at the company's plant in Chattanooga, Tennessee, a company spokesman said on Monday. The union on Monday said membership at its Local 42 in Chattanooga "exceeds a majority of workers at the plant." 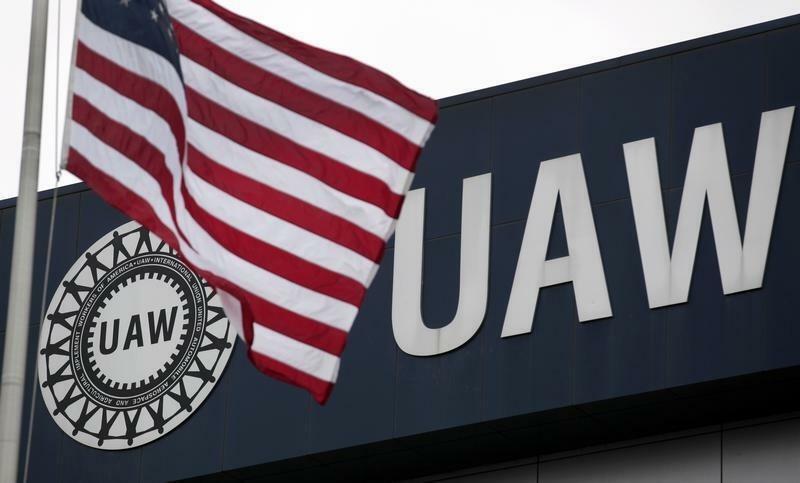 It is the first time the UAW has been recognized at a foreign-owned auto assembly plant in the South, but it is short of the UAW's goal of attaining exclusive bargaining rights for all of the plant's 1,500 blue-collar workers. The union 10 months ago lost a worker vote that would have allowed it to become the exclusive bargaining agent, and the UAW said it will continue to work toward collective bargaining. For now, it is settling with the ability to meet regularly with VW's human resources department and top plant executives. Hourly and salaried workers at VW's other plants outside the United States are represented by works councils. The Chattanooga plant is the only VW plant without a works council. VW last month announced that it would recognize worker groups and allow them to meet with company officials to discuss plant policies. In what is an uncommon approach for a U.S. workplace, Volkswagen is allowing multiple groups to represent plant workers. The UAW has gained the highest level in a three-tiered structure that allows increasing access to management and the ability to hold meetings more frequently on plant property depending on the level of workers represented. An alternative union, the American Council of Employees, has support from both blue- and white-collar employees, said Sean Moss, president of the new union in Chattanooga. However, as of last Friday the ACE group had not filed a list of its supporters to be audited. An outside auditor checks the UAW list of supporters to make sure each is a current VW worker, and the ACE group would have to undergo the same process, according to the Community Organization Engagement policy issued last month by VW Chattanooga officials. Gary Casteel, secretary-treasurer of the UAW, said in a recent interview with Reuters that gaining this partial recognition is "really, to us, as good as it probably could get outside of having won the election" last February.